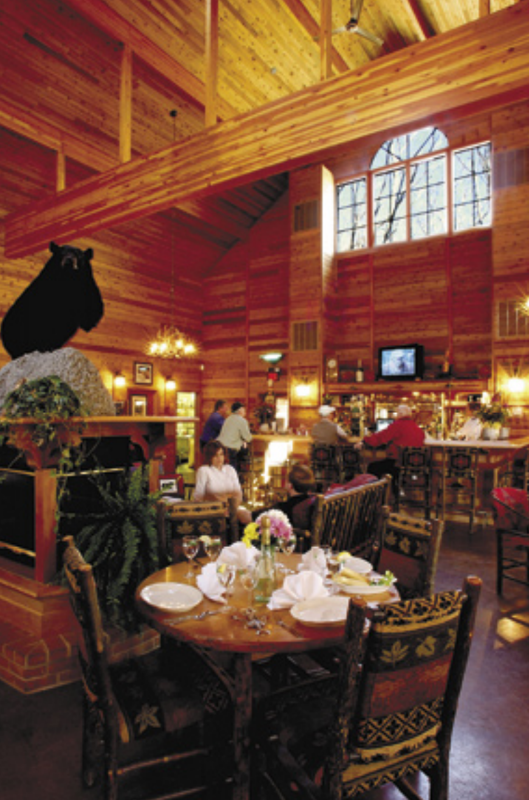 After your round, relax in the rustic clubhouse with its soaring vaulted ceiling, massive cedar beams, and the friendly black bear mascot. 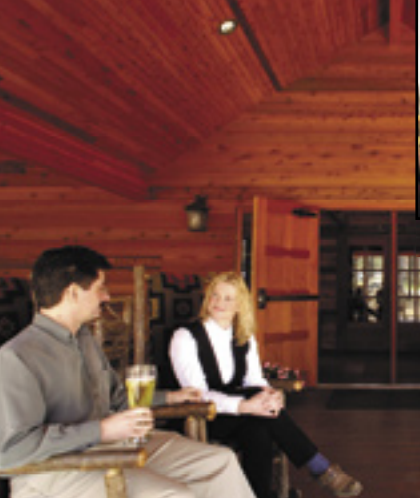 Enjoy the cool mountain breezes on the covered porch from a comfy rocker. Relax in the oversized lounge chairs or put your feet up as you stretch out on one of the couches. 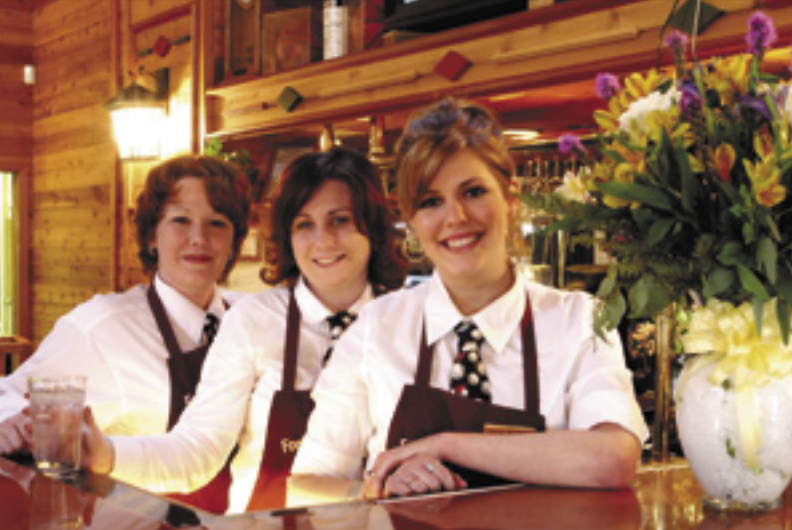 Be catered to by wait staff known for genuine warmth and exceptional hospitality. 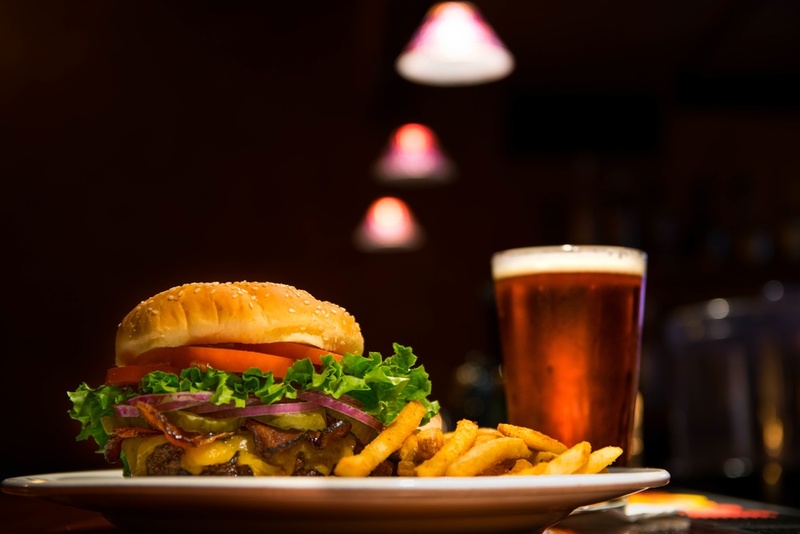 Feast on pub food consisting of appetizers, soups, salads and generous oversized sandwiches. Enjoy a drink (or two!) to celebrate your round. Choose a hearty cup or a bowl of our chef's daily selection. With or without our delicious ham.